Canada’s most populous province is considering measures to enhance housing affordability while avoiding moves to actively lower home prices, people familiar with Ontario’s plans said. The approach sets up a policy divergence between the provinces overseeing Canada’s two hottest real estate markets. The federal government's new mortgage rules go into effect today, attempting to temper price growth in Toronto and Vancouver, and this summer British Columbia imposed a tax on foreign buyers snatching up properties in the Pacific Coast city. Instead of a similar tax, Ontario is instead considering affordability measures such as new support for first-time home buyers and more funding for government-subsidized housing, according to the people who spoke on condition of anonymity because the plans haven’t been finalized. That leaves Ontario focused on supporting the bottom end of the market as British Columbia tries to cool the top. Sousa has said the government is considering all its options while seeking data on home purchases, though he offered no timeline for any new provincial measures. Ontario Premier Kathleen Wynne has remained cool to the notion of a foreign buyer tax. “That increase in demand and increase of desire to invest in Ontario is not a bad thing, provided it provides jobs, economic growth, economic development. We’ve been encouraging that,” Sousa said Friday. Ontario is taking its time in part because it’s not clear what the impact has been in British Columbia, he added. “The market was already softening. There were already indications it was tapering down” before the new tax. The average price of a detached single-family home in Greater Vancouver rose to $1.6 million in September, up 34 per cent from a year earlier -- though sales of the properties slowed significantly after the foreign buyer tax took effect. A single-family detached home in the Greater Toronto area is now $1 million, up 24 per cent from the previous year. Toronto Mayor John Tory wants both the federal and provincial governments to contribute roughly $800 million each to Toronto Community Housing Corp. properties. He has also expressed doubt Ontario will make any housing regulation changes before the full impact of measures in British Columbia are known. Ontario is considering a tax on vacant properties, one person familiar with plans said, though Sousa maintains he needs more data on vacancies before taking any action. 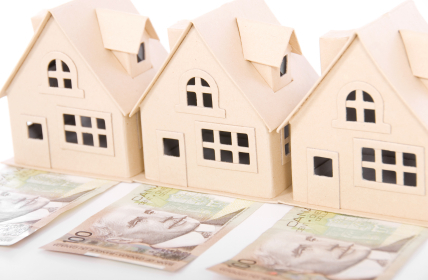 Vancouver Mayor Gregor Robertson proposed a vacancy tax last month. Prime Minister Justin Trudeau has pledged funding for “social infrastructure” as part of a 10-year, $120 billion infrastructure plan. Toronto’s mayor wants housing to be a guaranteed part of that and said he has an “inkling” there could be new funding in the federal government’s fall economic update, expected in November. The measures federal Finance Minister Bill Morneau unveiled Oct. 3 tightened rules across the country for mortgage eligibility and capital gains exemptions on the home sales, while beginning consultations on risk-sharing with lenders to leave the government less exposed in case there’s a rash of defaults. Lenders and insurers are resisting the changes. Morneau said Wednesday each province is free to make its own housing regulation decisions, and that policies aimed at affordability and at foreign buyers each have merit. “You want to make sure we have people in our market that are here for the right reasons, if they’re foreign investors, and you want to find ways to get people into the housing market who should be in it,” Morneau said in an interview. Ontario and British Columbia are “going to take measures they think are most important,” he said.